Planetary Resources plans to send swarms of robotic spacecraft to mine resources from near-Earth asteroids, as this artist's illustration shows. Space mining just got a big boost. The U.S. Congress' passage of a bill that allows American companies to own and sell materials they extract from the moon, asteroids or other celestial bodies should help spur the development of off-Earth mining, representatives of the nascent industry say. "It's a sign to everyone that [exploiting] space resources, and commercial space exploration, is underway, and it's happening now," Lewicki told Space.com. "It's not something that's going to happen in the far future. You are seeing history in the making." The bill, known as the U.S. Commercial Space Launch Competitiveness Act (CSLCA), was approved by the Senate on Nov. 10 and by the House of Representatives on Monday (Nov. 16). The CSLCA will now go to the White House, and most experts expect President Barack Obama to sign it. The bill addresses a number of spaceflight issues. For example, it extends the United States' commitment to the International Space Station through at least 2024, and it gives private companies until 2023 to meet human-spaceflight safety standards, pushing back the original deadline by seven years. 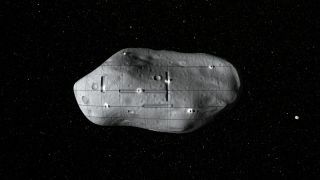 "A United States citizen engaged in commercial recovery of an asteroid resource or a space resource under this chapter shall be entitled to any asteroid resource or space resource obtained, including to possess, own, transport, use, and sell the asteroid resource or space resource obtained in accordance with applicable law, including the international obligations of the United States." The bill does not allow ownership of an asteroid, or a swath of the moon, or any other section of extraterrestrial real estate — just the resources extracted from such a body. Space mining will thus be analogous to fishing in international waters, Lewicki said. "No one owns them until they are in your possession, and then you own them," he said of space resources, which Lewicki and other mining advocates say have the potential to open up the solar system to exploration (especially water, which can be processed into rocket propellant, allowing sojourning spaceships to refuel on the go). But the CSLCA should allay the concerns of people who were less confident in the legal standing of space mining, Lewicki said. "There are many investors who had questions about this issue," he said. "Now, with this milestone behind us, we can continue those conversations with the support of United States law. That, again, is a very solid framework on which to talk about what we can do next to continue to grow the industry and the opportunity." Moon Express co-founder and CEO Bob Richards agreed that the CSLCA should have a big impact, saying that the added clarity and certainty provided by the bill should provide a "fantastic spur to development." "I think this will be a big deal from a historical perspective," Richards told Space.com. Indeed, he compared the potential impact of the CSLCA to that of the Homestead Act of 1862, which opened up the American West to settlement. Artist's illustration of Moon Express' MX-1 lunar lander headed to the moon. Richards said he hopes the passage of the CSLCA initiates a meaningful conversation with other nations around the world on the subjects of space mining and commercial space exploration. "The more that the world agrees that this is OK, the more that we have a chance to be a mature and responsible spacefaring species," Richards said. "It really is a chance for us, as humans, to find a way to conquer a new frontier without conquering each other. It's a new opportunity for us to try to get things right."